News - PlayOnMac - Run your Windows applications on Mac easily! The big boss, alias Tinou, is absent since Friday 8th of Febuary and will be back 3 weeks later. So, he will can't answer to your private messages, thank you to send them to the others administrators. They will take care of the web site during his absence. Have a good game, our Linux users friends. Microsoft sold 1000 SUSE licenses for Renault? ?s data centers. These licenses will replace the existing Linux distributions (Debian and Red Hat). By choosing SUSE as a solution, Renault will be spared by Microsoft. Remember, Microsoft has accused Linux for violation of more than a hundred patents last year. And the editor of Redmond said that the companies which have signed an agreement like Novell and Linspire will be protected. The car manufacturer will also benefit from the interoperability of Virtualization Tools to run Windows virtual machines on SUSE servers. This is not the first time for Microsoft, customers such as Wall-Mart, HSBC, Siemens and BMW have already acquired Linux licenses sold by Microsoft. The gate is open and the situation is likely to change quickly. After the investment in the Open-source by IBM and Sun, it? ?s Microsoft's turn. The pessimists may regret the "stain" of Linux by the ? ?evil Microsoft? ?, and the risk of a second monopoly on Linux. Here is an information that should delight some peoples, the editor of the famous game which used to be released 11 years ago, announced the game will be released for Christmas of 2008, if every thing is fine. The information had been corrected by the studio's editor (Scott Miller) who had precise that it could have some months of late. About platforms, it should be available on 3 platforms, probably the PlayStation 8, the Google Computer, and the Linux Gamestation (Linux will represent a huge part of the market, Microsoft will exist only in memories (by the way, their death will be the cause of a total rewrite of the game), and Sony will release the 8th version of their Playstation), or on PS3, Xbox 360 and PC. The 3.0.0 version of the famous free RTS in which partisans of the magic are confronting partisans of technology, was just released. Among highlights, the so awaited LAN/Internet multi-player mode. Keyboard shortcuts will allow you to control your troops more easily, little changes for improvements of the "Techs" had been set up, and finally some unities' names had been changed. A real awake for the game, which stayed more than a year without update or news about a possible release. It's a huge disappointment: Ubunteros will have to wait for the next release (8.10 even not yet announced) to try the new default theme which was still provided for few days ago. Despite, you can download and use themes similar to the announced mockup. Have a good Linux all. You may have noticed a bug recently when installing a game or application: the window would disappear while the script was downloaded, and consequently the script would not run. The bug is now fixed and you should be able to install your games normally. Sorry for this disturbance and have agood game . The Spanish web site is open ! Today, we just crossed a new important step for PlayOnLinux's internationalization: the open up of the Hispanic part of the web site! 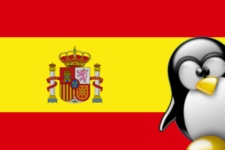 After their favorite software (I talk about PlayOnLinux of course ), it is now our web site that Spanish-speaking persons will can use in their native language. So welcome to them. By the way, we want to thank icaro581 for helping us (very quicly) in realization of this aim. In order to propose the best possible experience to our Spanish-speaking users, we are looking for motivated volunteers for positions of newser and of moderator. - Newser: Should write news about free software and games' current events. Should obviously write perfect Spanish and be ready to propose news at least once a week. - Moderator: Should keep an eye on what is said and answer or follow up talked about issues. Won't be left alone, there's a team and administrators working together. Should obviously write perfect Spanish and be ready to make the "don't write what your mother wouldn't like to read" rule respected almost everyday. This is a mighty position with the tools provided so previous experience(s) or "active and positive" participation in the POL's forum would be preferred. Finally, I remind you that we are currently searching persons for the position of moderator but for the English web site. Feel free to contact us if you're interested in or simply if you want more information. You were thinking only Ubuntu and other Debian-like distros were important to our eyes? It is false now! Indeed, thanks to Anubis, PlayOnLinux is present (since some days yet) in the Packman repository for the openSUSE distribution. You can verify it HERE. You will find there latest versions of PlayOnLinux and PlayOnLinux-DosBox-Support packages for openSUSE 10.3, 10.2 and also SuSE 10.1 and 10.0. - Or open a terminal, obtain the super user's rights and type the following command zypper sa <URL> <alias> adapting the URL depending on the nearest mirror from your country (the mirror's list is HERE) and the alias depending on the display name you want for Packman. Yesterday, in the late night, PlayOnLinux's 2.0.9 version was released. This evening I offer you great present because this is more than several tens of games which are now available with this script. Indeed, I propose you to stroll on the impressive list of Reflexive Arcade games. -You just need to run the script once again to install an other game WITHOUT erasing those already presents. For more details, check the forum HERE.